Dr. Mathieu Gaudin has been trained as a Chemist since his Chemical Engineering degree. During his Ph.D. at Paris Descartes University (France), he developed untargeted and semi-targeted mass spectrometry-based approaches for lipidomic characterization of brain tissue samples by liquid chromatography mass spectrometry to understand better the physiopathology of Alzheimer’s disease. As a Research Associate at the Faculty of Medicine of Imperial College London, he continued to develop lipidomic approaches using UPLC-MS/MS to quantify low abundant oxylipins involved in inflammatory processes. He also contributed to the development of plasma sample preparation procedure for lipid profiling for the NIHR-MRC Phenone Centre. He then joined the Center of Excellence in Pharmacokinetics at Servier Laboratories in Orléans where he contributed to the drug distribution strategy and managed the Mass Spectrometry Imaging facility for four years to support drug discovery and development programs. He was also study responsible in pharmacokinetics and metabolism and involved in the corporate program stimulating participative innovation. 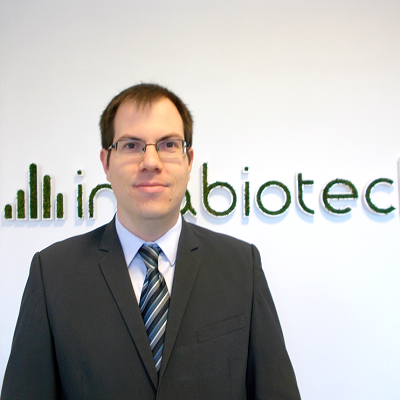 He joined our team in 2017 as a laboratory manager of the Europe facility.